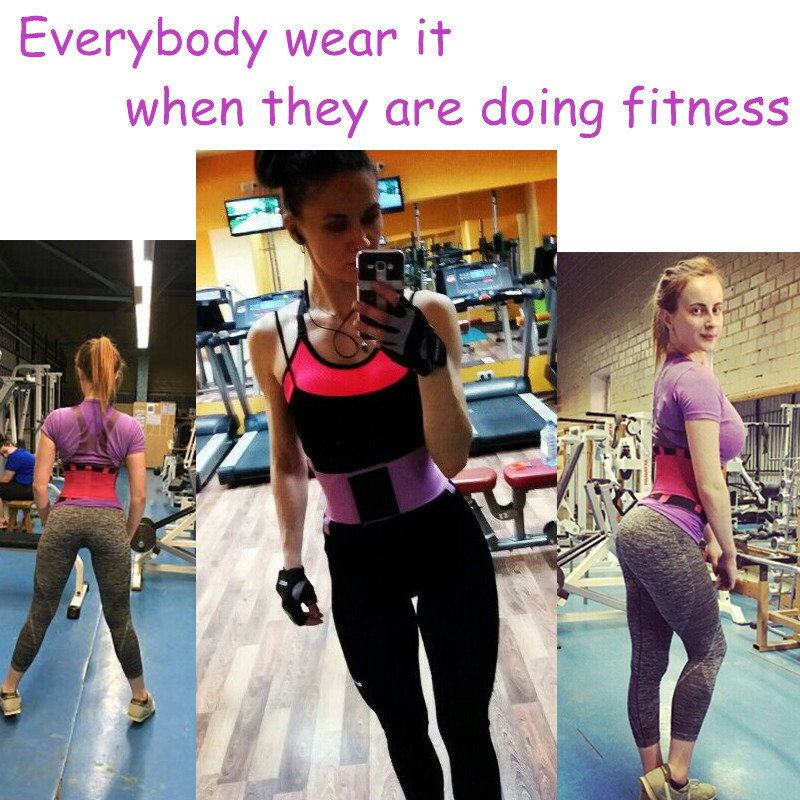 Stimulate Fat Burn & Lose Weight - This waist trainer belt shapewear is constructed with Flex-boning technology to work like a corset or waist cincher, with adjustable velcro closure waistband to enhance the compression around your tummy. The abs belly fat burning waist trimmer belt targets right at your midsection, makes you sweat during fitness workout and stimulates faster abdomen fat burning. Postpartum Waist Tightening - Great garment for women looking for shaping your body after giving birth. Excellent choice as a postpartum belly wrap because it provides a firm support to your waist and flattens your tummy with an easily adjustable waist trimmer band. Wearing waist trainers can help new moms recover their firm abs. Tummy Tuck & Back Support - Our best waist trimmer belt is very stretchy in the right places and provides tons of support on your sides and back. If you have lower back issues, our waist trainers, like a compression binder around the waist to offer lumbar support, help relieve pain and improve posture. Reduces Risk of Injury; Keep your muscles warm, Improve Posture, Stabilize Spine. Provides Support that Helps Prevent a Herniated Disc, Lumber Muscle Strain, Back Pain. Comfortable Adjustable & Stretchy Fabrics - 100% latex-free stretchy neoprene finest fabric, which means it is easy to clean, fits to your body, and will not pitch or irritate your skin. Double velcro adjustment for sizing accuracy. Mesh backing for breathability during hot sauna or other fitness activities.